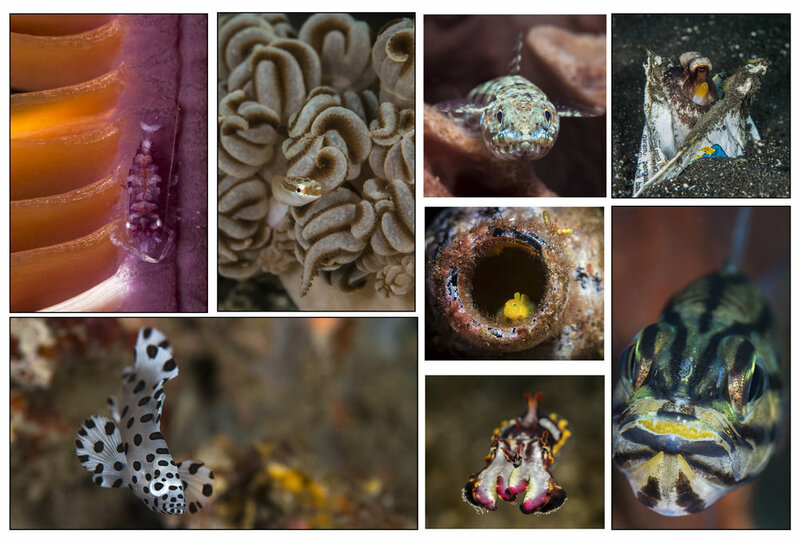 Lembeh Strait is the capital muck and macro diving destination of the world. It is a well established diving destination for U/W photographers and attracts visitors from all over the world. NAD Lembeh Resort is situated on the island of Lembeh. The rooms and bungalows are comfortable and there is a pool and jacuzzi to relax in, a huge and newly renovated camera room, kitted out with plenty of outlets for your charging needs. NAD offers a standard 2:1 guest to guide ratio which gives Photographers the best attention and assistance underwater. All the guides at NAD are also trained Underwater Photographers, so they understand photographers’ needs and are happy to assist in your underwater photography without harming the critters. The diving is predominantly macro, with expert dive guides that can find a needle in a haystack! By the end of a week here, your macro photography will improve incredibly. There will be an opportunity to capture Mandarine fish mating and to try black water diving. Daisy will be conducting workshops centred around macro and muck diving, also Lightroom & Photoshop but most importantly, exploring your own creativity. This trip is immediately proceded by Triton Bay so that you can take best advantage of the long journeys. Flights: Will be quoted closer to the date for those coming from Triton Bay.